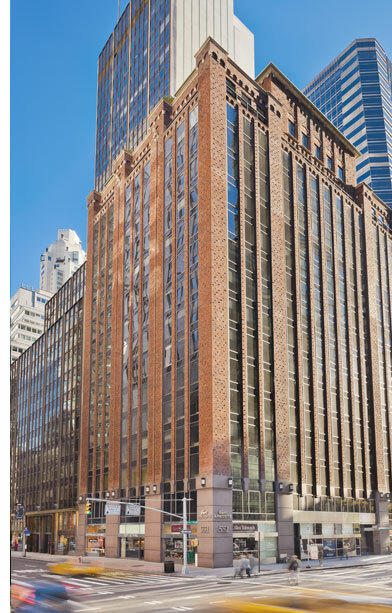 In January 2017 Lexin acquired 551 Madison Avenue, one of the most unique boutique buildings in Midtown Manhattan. The 17-story Class A Building contains approximately 150,000 SF. Constructed in 1922, the building underwent a series of renovations between 2006 and 2016. 551 Madison is situated on the northeast corner of Madison Avenue and 55th Street in the heart of Midtown. The Property bridges New York City’s two most prestigious commercial submarkets, the Plaza District and Madison/Fifth Avenue. Surrounded by a large roster of corporate tenants, hotels and restaurants, exclusive residential neighborhoods, and the world-class retail boutiques that make Madison Avenue famous, the Property has attracted a diverse roster of exceptional tenants. The Building offers rare floor plates of just 8,245 SF, which appeal to boutique tenants seeking to locate their businesses in this high-profile corner location. For further information, including availability, visit 551madisonavenue.com.